Vector wings illustrations in different colors. 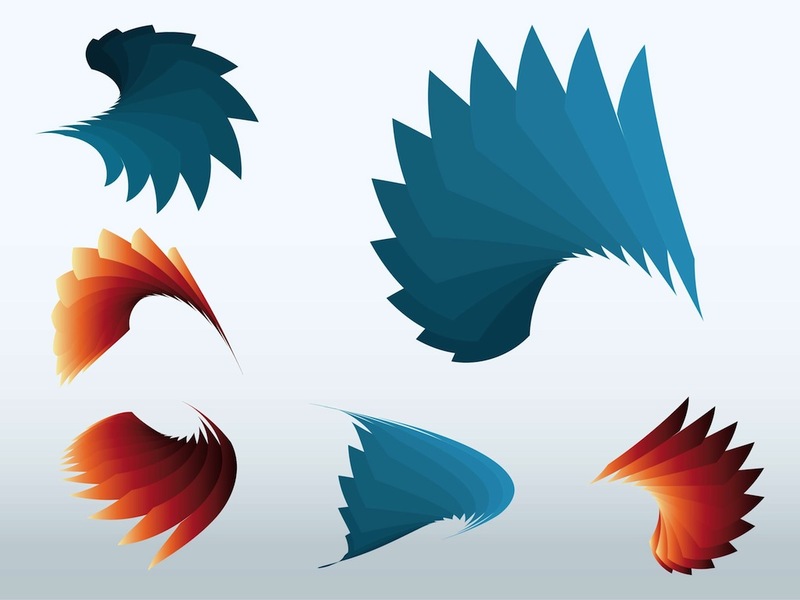 Various curved shapes on the gradient color feather shapes. Warm and cool tone versions of the abstract designs. Free vector graphics for all your flying animals, birds, angels and aerial creatures designs. Download colorful wing vectors for tattoos and clothing prints. Tags: Colorful, Colors, Curved, Feathers, Fly, Flying, Waving.